Healthcare payers face the challenge of preparing for the changing healthcare environment in a very limited time brought about by various rulings on healthcare. 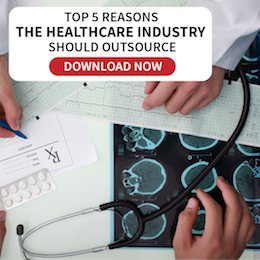 Infinit Healthcare understands that payers need to transform their business model to successfully overcome these challenges. Claims processing needs to be quick and efficient at the same time. Infinit Healthcare’s approach to claims processing allows quicker turnaround times without compromising the quality and security of information, providing you with a high-performing claims process that your customers will appreciate. Good customer service should be the lifeblood of every business. 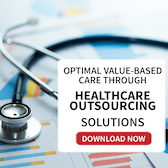 Infinit Healthcare’s suite of outsourced call center services for patient care will enable you to augment your member care expertise, focus on other critical activities, and enjoy significant cost savings. Whether it’s through email, voice, or live web chat, we can assist you in adding value each time communications with patients and customers occur. An inquiry for information, an account question, and even a well-handled complaint can actually become a positive experience in the eyes of the end user and can be an opportunity to create loyalty. Back office processes like finance and accounting in healthcare require a significant investment in human resources, as well as a detailed understanding of the many regulations that influence the overall performance of the enterprise. 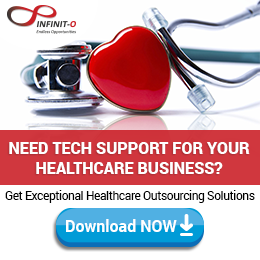 You realize a range of benefits by outsourcing your finance and accounting outsourcing needs with Infinit Healthcare. We understand that your requirements are unique, and we work with you to ensure our solutions achieve your business objectives.